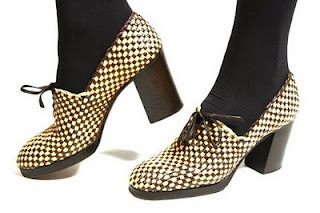 Home › News › My slight obsession with vintage shoes! I admit it...I have a HUGE obsession with vintage shoes and I am always building on my own personal collection. I am really into any kind of "winklepickers", "oxford styles" as well as the "granny boot"
Punks, and in the goth scene, where they are known as "pikes". The great thing about winklepickers, oxford styles as well as the ever popular granny boot is that they are comfortable and look great on everyone. Even local shoe connoisseur "John Fluevog" has picked up on the trend and created an ultra modern, sleek sort of Victorian version of the "granny booty"
Although I love what some shoe designers are creating right now, I must say nothing beats the real deal for me. 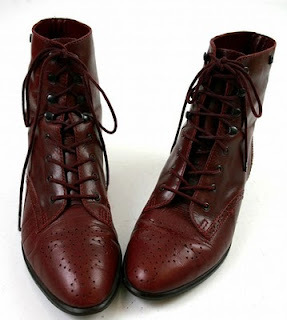 I absolutely ADORE the worn in look and feel that comes with a quality vintage shoe or boot. Don't get me wrong I have within my collection some very nice and well made European designs like the modern take on a 1940's style froma company called "Neosens". 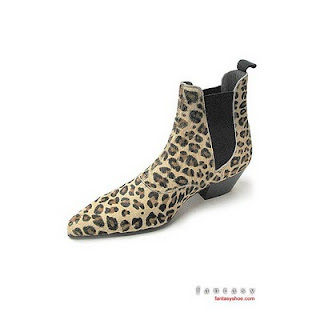 These timeless footear designs are not only incredibly comfortable but also an incredibly well made shoe. You can see how the outter top of the shoes is stiched right into the sole, a good indication of that the shoe will not explode into a million pieces after only a few seasons. 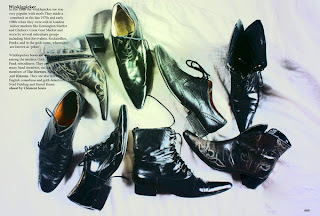 Which brings back to one of the major reasons why I am so addicted to vintage footwear. My mentality is that vintage shoes have lasted x-amount of years because fo the quality and will last that much longer with care and maitenance. I had a pair of vintage boots that were already 30yrs old and they lasted me over 10years where as a new pair of boots I bought, put me out $200 and combusted only a year later! I say poop to that! 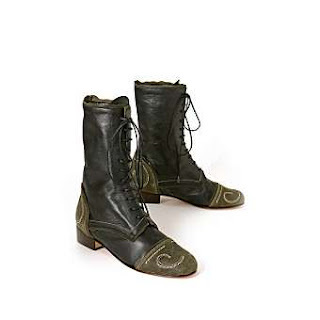 On a positive note I'd like to mention that the Adhesif Clothing shop carries some really amazing vintage shoes and boots and we re-stock every Tuesday! Another great factor is the fact that the prices are incredibly reasonable! Most shoes and boots are priced between $28-$84! Holy smokes with prices like that it's no wonder our shoe selection is constantly re-newing itself. 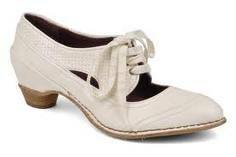 These size 8 Victorian inspired lace up's have the perfect height of heel and great silhouette. 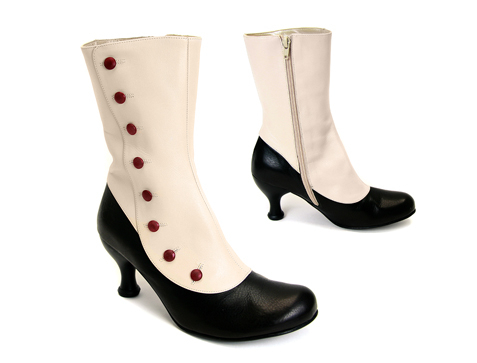 There is a side zip too.They can be worn casually or formally and have a rubber topy on the sole for great traction. Minimal, sleek and versatile. These Italian made size 7.5 boots are a lovely shade of charcoal grey and I tell you now if they fit me they would be in my closet!! These hard to find lovelies are a total score! Size 7-7.5 Granny Booties!! These are quite possibly one of the nicest pairs of granny ankle boots I've ever found. Not only are they in great shape but they have the coolest ankle trim which look like snake skin from far but it is actually a braided piece of burlap cord that has been painted black. So unique and only $58!